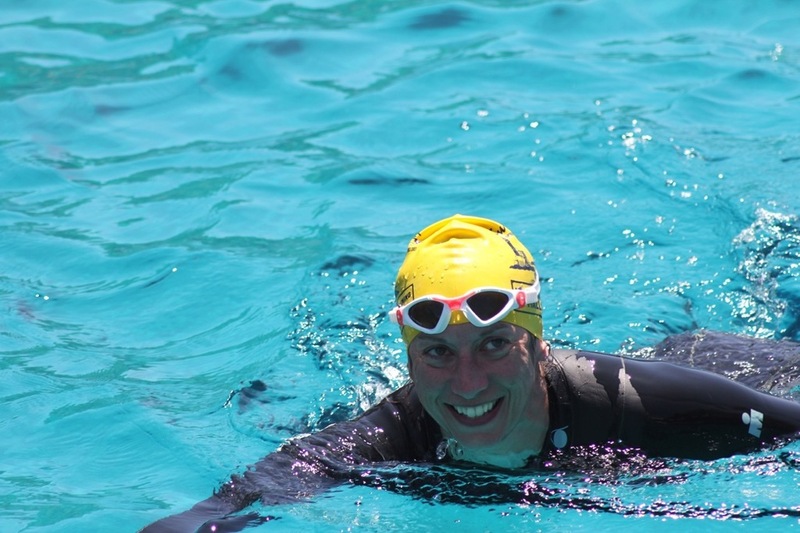 With a team of experienced marathon swimmers to support you throughout the camp, this six days of open water coaching includes video analysis of your swim technique, as well as key teaching points to improve your overall performance in the water. 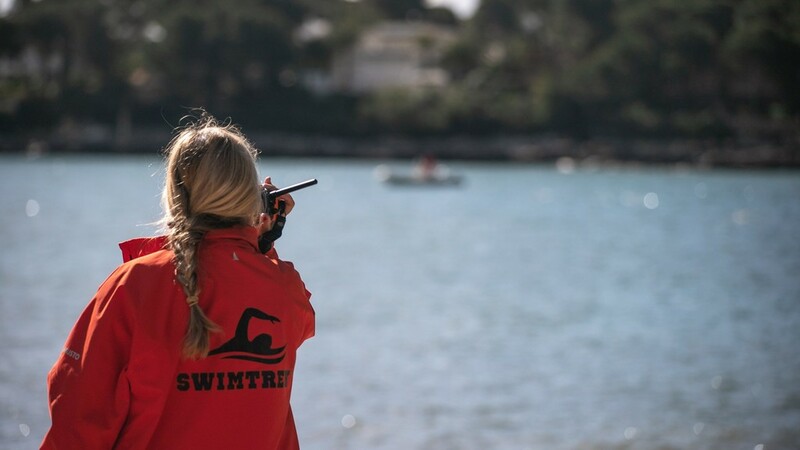 Q&A sessions with your SwimTrek coaches give you a fantastic opportunity to discuss your progress and focus on future training needs. 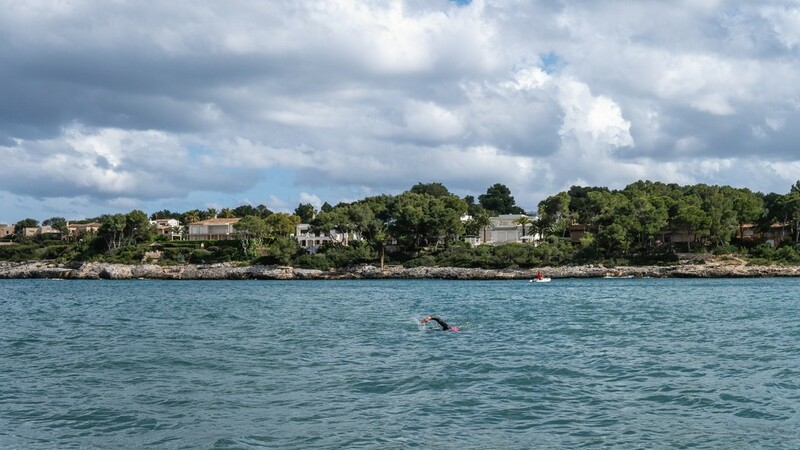 After building up the swim distances over the first few days, you will have the chance to complete a full 10km swim towards the end of the camp to truly gauge the improvement that you’ve made throughout your time in the water. 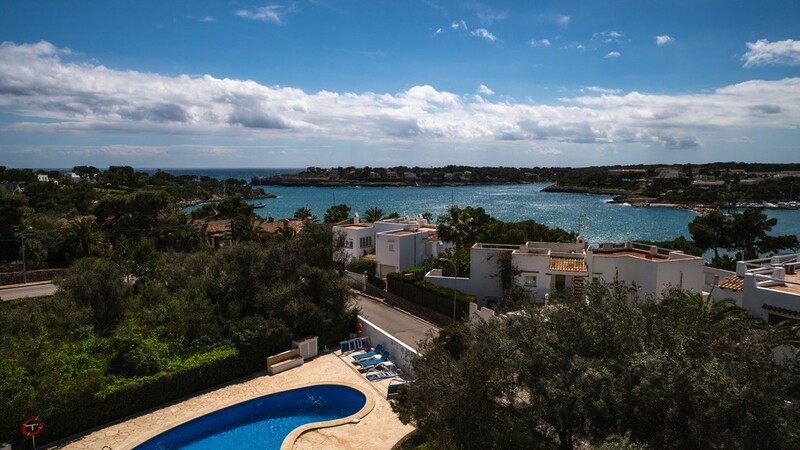 Our accommodation in the town of Porto Petro overlooks the marina and is close to swim locations, which helps to optimise the mix of coaching and relaxation time throughout your trip. This coaching camp is ideal for swimmers who are planning to take part in an open water marathon swim event of up to 15km, or those who are looking to challenge themselves in a safe and supportive open water environment. 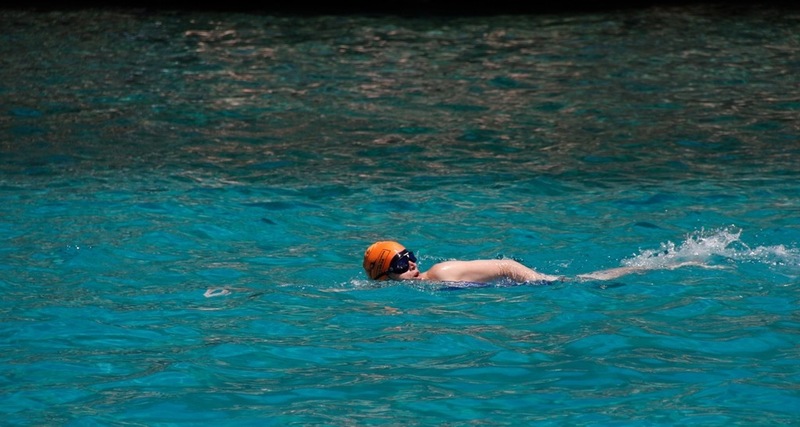 Whether your marathon swim is in cold water, warm water, in the sea or in a lake, this camp is perfect for those who are looking to improve their stroke and endurance under the watchful eye of our experienced coaches. 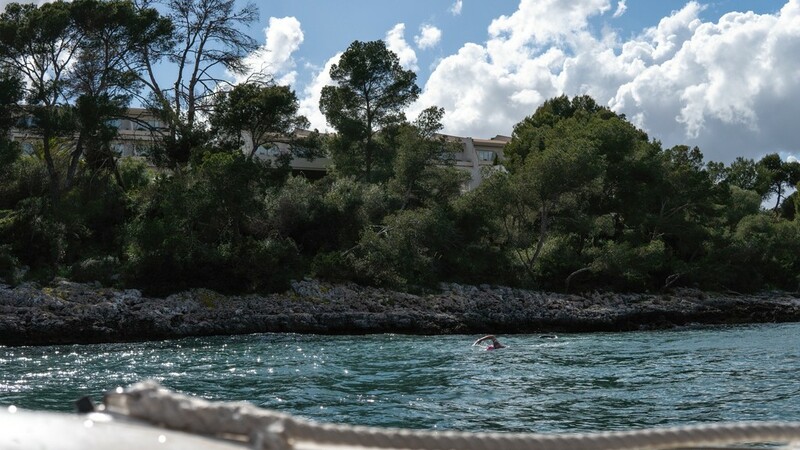 The camp features long and short open water swims with full safety cover, and incorporates technical analysis and a nutrition seminar over the course of your stay. 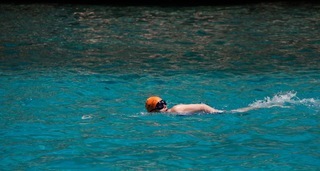 This camp is also a great option for those who are preparing for an English Channel relay attempt. 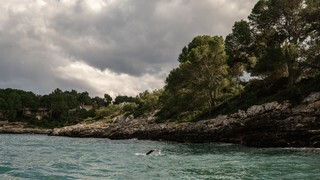 If you are training for an English Channel solo swim, or similar, please check out our Channel and Long Distance Swimming Training Mallorca which is better suited for this type of training:. 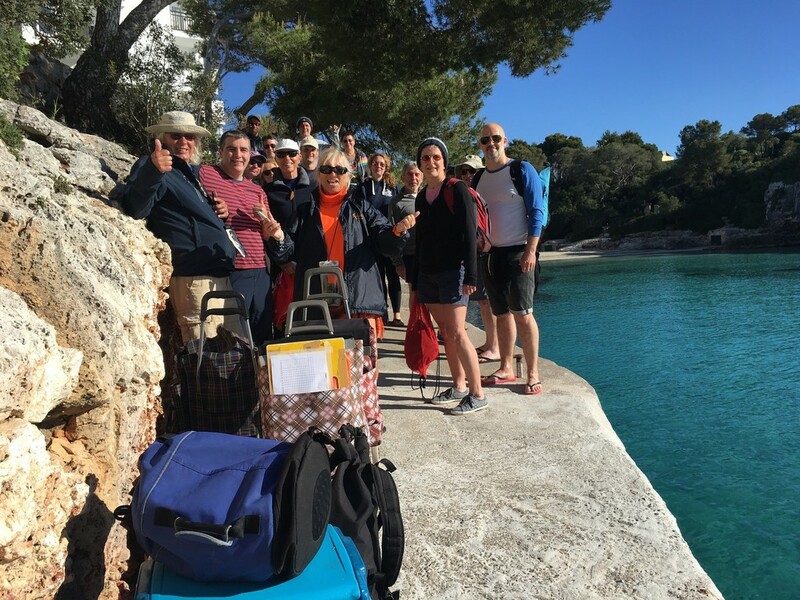 Please note that the below daily itineraries are an example of the swims that may take place during the course of your coaching camp, however, actual swim locations and distances will vary according to local weather and sea conditions. 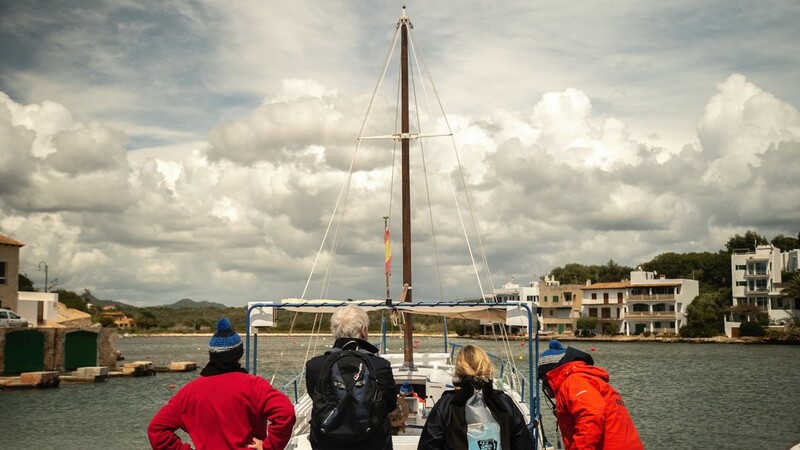 Your SwimTrek coaches and local boat pilot will determine the most suitable swim locations each day and will communicate the plan with all guests as soon as possible. We meet at the apartments in Porto Petro for a safety briefing and to discuss the plans for the days ahead. 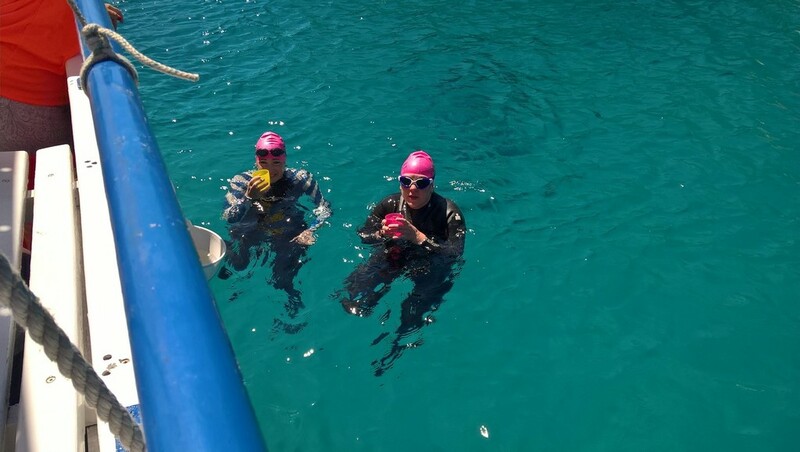 After discussing the swim schedule, we hit the water for the first time for our acclimatisation swim. The coaches will spend time with you discussing your aims and objectives for the week. We’ll be up early for a video analysis swim which we will use to discuss relevant technique points later in the day. Today we will be coaching you through 5km of swimming, with a 3km swim in the morning and a 2km swim in the afternoon. 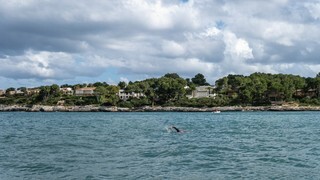 Our initial swim takes place in Porto Petro Bay, which is an ideal time for our coaches to begin their review of your stroke for the afternoon analysis session. Today we travel south for a big day of swimming in the Mondragó National Park area. 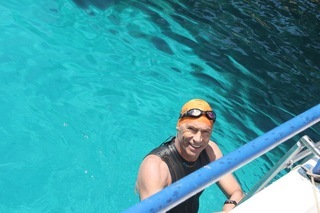 We build our endurance with a 5km morning swim and a further 2km after a well-earned lunch on the boat. Today’s swimming includes a detour into breathtaking coastal caves. The sheltered bay of Cala Mitjana, with its overhanging pine trees and tiny beach, is our base for this morning’s 4km swim. In the afternoon we hold a pool coaching session to follow up on your stroke technique and to work on open water skills. This is followed by a seminar on nutritional advice and feeding techniques. The Big One! After the preparation, practice, advice and training of the past few days, this swim gives you the opportunity to bring it all together and complete a marathon swim of 10km. 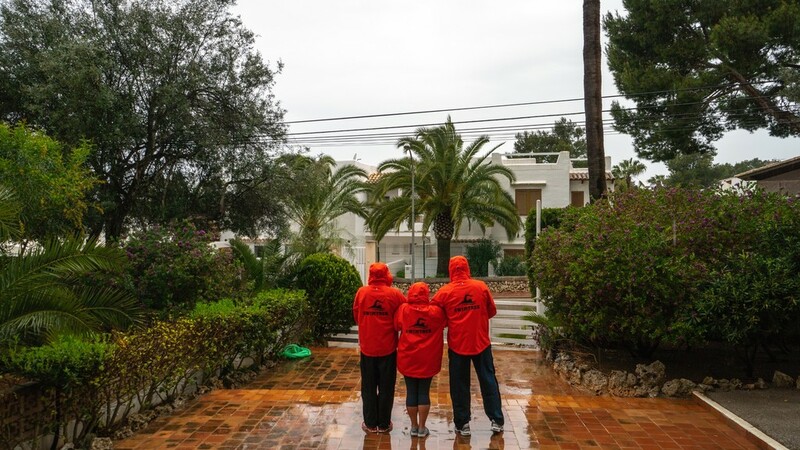 To optimise your experience, the precise swim location will be selected based on prevailing weather conditions. 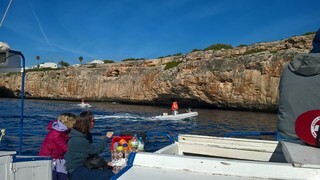 We will provide full safety boat cover, with nutritional support during your swim. Once you’ve had time to shower and recover, time will be set aside for a full Q&A session with your SwimTrek coaches. There’s time for one more morning swim session before the camp ends. 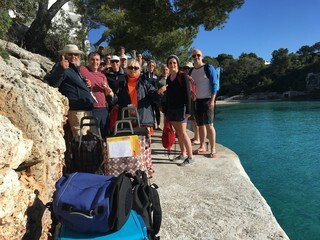 We swim as a group and it is an excellent time to work on your technique and swap any final information with your fellow guests and SwimTrek coaches. 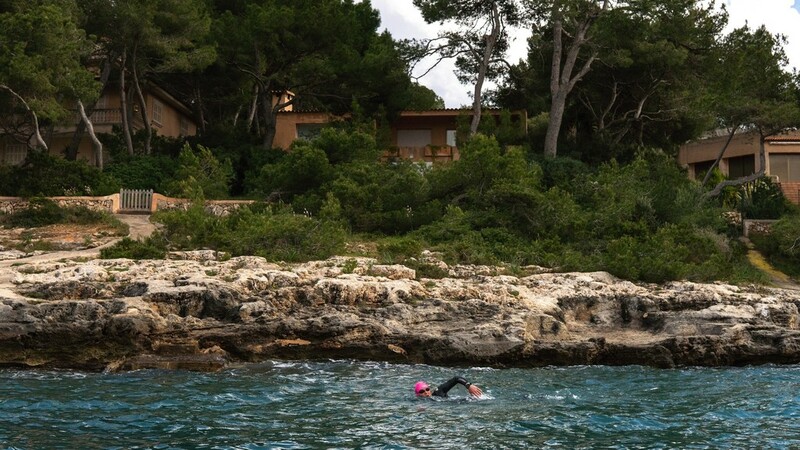 Due to the nature of this coaching camp and the wide range of distances that will be covered by different members of the group, most of our swims take place around a series of circuits in locals bays. Circuit swims allow you to complete your training at your own pace with full safety cover at all times. This coaching camp has a maximum group size of 16 with a coach/swimmer ratio of approximately 1:5. 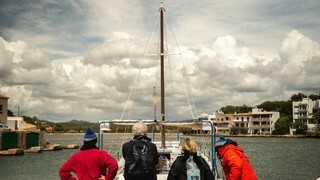 The group will be accompanied by three SwimTrek coaches and safety vessels at all times. 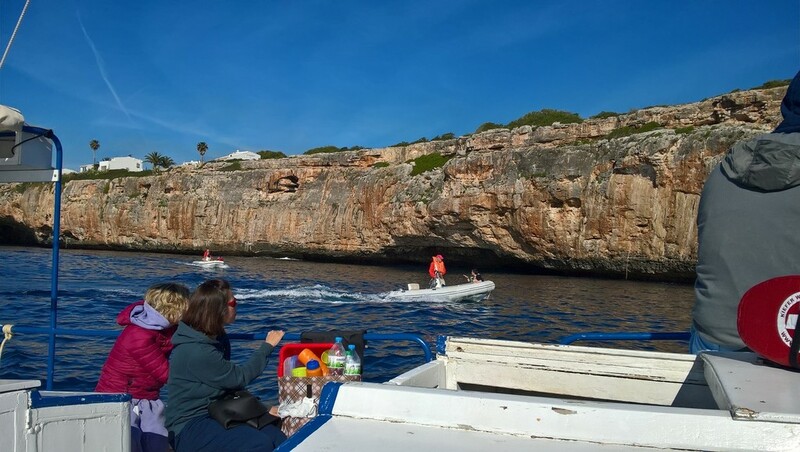 Boat support on this camp includes one main boat and two inflatable boats to be piloted by your SwimTrek coaches and a local boat pilot. Please note that this boat support is subject to change without notice and cannot be guaranteed. The easiest way to get to Niu D'Aus apartments is to fly into Palma Airport and take a taxi transfer to the accommodation. While we have outlined various travel options below, they are subject to change and should be used as a guide only. 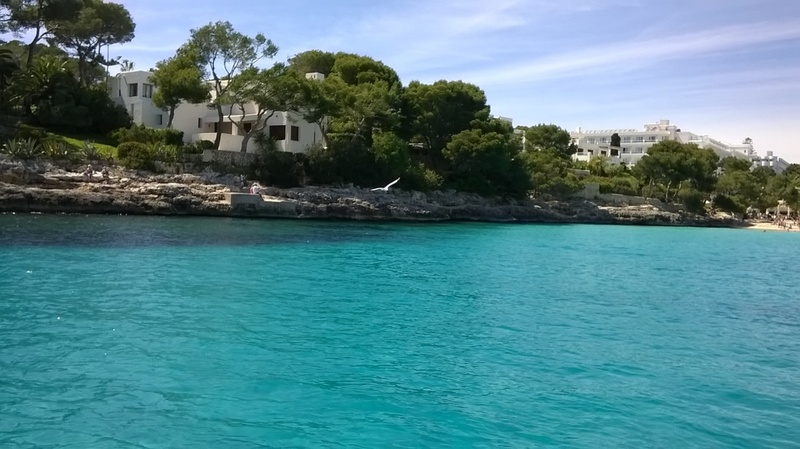 We suggest that you use Skyscanner to search for alternative flight options for this trip. To search for available flights into Palma International Airport, please visit Skyscanner. From Palma Airport to Niu D'Aus apartments the fastest and simplest way to get there is by taxi. The journey takes approximately an hour and the cost of the service is €75 (for up to four passengers). To book please visit Taxi PMI. Please note that reservations must be made at least 12 hours before the required time in order to be guaranteed. The cheapest form of transport to Niu D'Aus Apartments is by bus. Please note that this journey can take up to four hours due to waiting times between connecting buses and costs between €15-20. 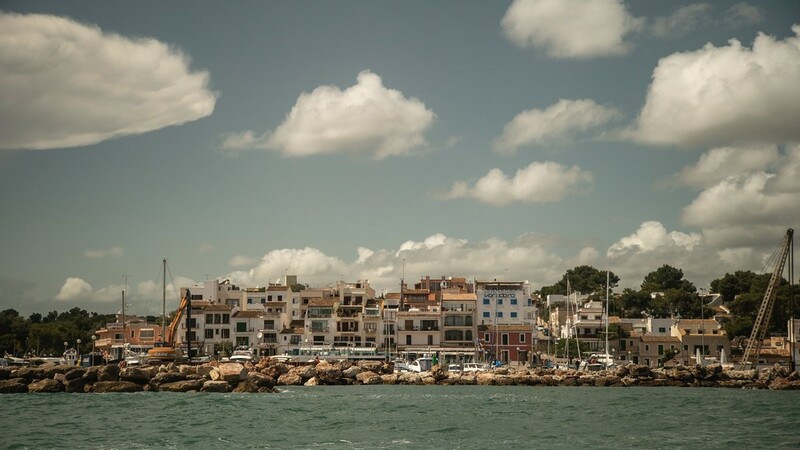 From the airport, catch the Number 1 bus to Palma which runs every 15-20 minutes throughout the day and takes approximately 30 minutes. 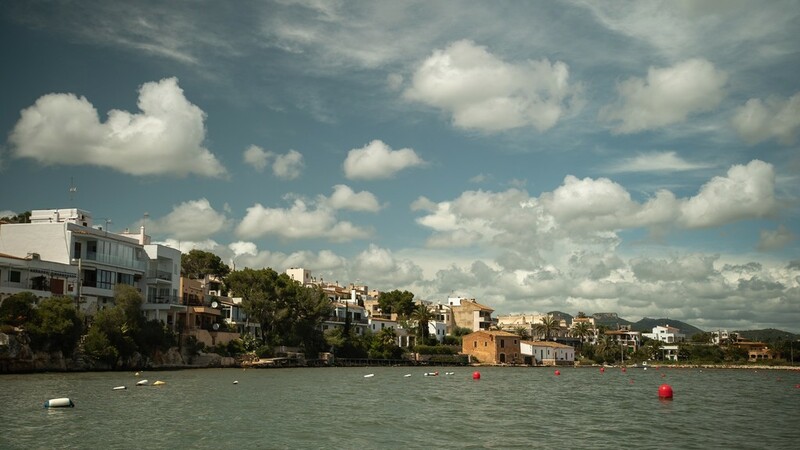 From Palma, catch the L501 to Porto Petro which runs several times per day and takes approximately two hours. 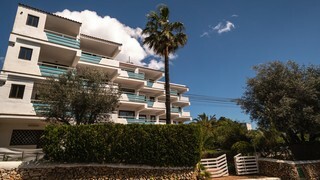 From the bus station in Porto Petro, it is approximately a 15-minute walk to your accommodation. For tickets and timetables for the above bus services, please visit: TIB. Another option to get to Niu D'Aus apartments is by car. 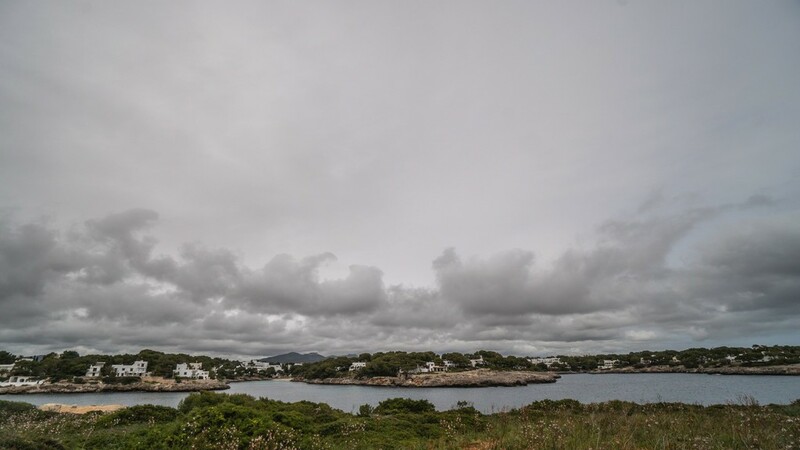 In previous years, guests have hired a car for the duration of their stay in Mallorca and have found this to be a useful option. 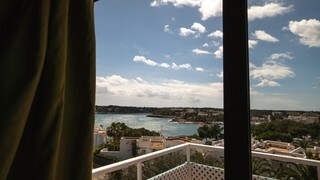 When using a Sat Nav, please enter: Niu D'Aus Apartments, Calle de Estel d'Argent, 18 07691, Porto Petro. The journey from the airport should take approximately one hour and there is on-site parking available at the accommodation. For more information, please visit: Palma Airport Car Hire Website. 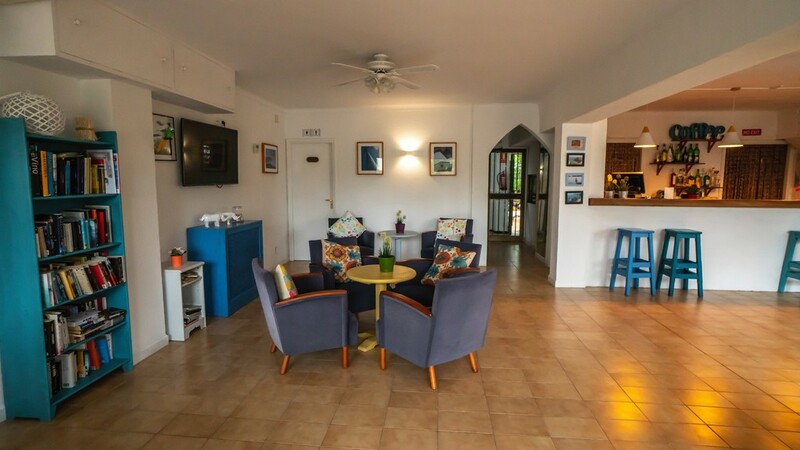 Our accommodation is based on twin-share apartments with en suite facilities in a combination of standard and sea view rooms. There are a limited number of single supplement rooms which can be reserved during the booking process, subject to availability. Please note that all apartments have two single beds and no double bedding is available, however, it is possible to push two single beds together if you wish. 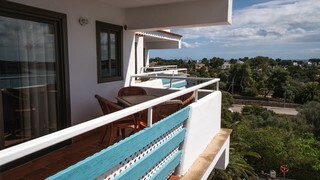 Each of the 19 apartments in the Niu d´Aus are spacious (approx. 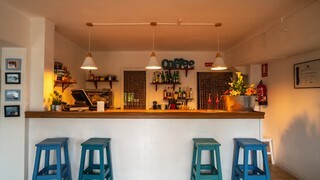 33 square metres) and have both air conditioning and heating. The lounge includes a sofa bed, while the kitchenette has a fridge, microwave and hob. All bedrooms have two single beds. If you would like to extend your stay in Mallorca and need to book additional nights’ accommodation before or after your trip, please contact the hotel directly via: info@niudaus.com Please note a tourist tax will need to be paid on location and will be up to €2.20 per person per night. Breakfast and lunch are included on this training camp and you can choose to have dinner in one of the local restaurants or make use of the small kitchenette in your room. 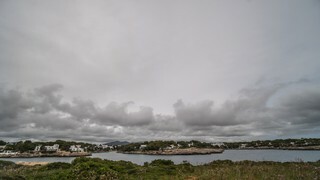 As all the apartments are self-catering and come with kitchenettes, guests can supplement meals by bringing along other items such as porridge and granola or wholemeal pasta should they wish. You should bring extra money with you to cover such items as drinks, entertainment, souvenirs, etc. 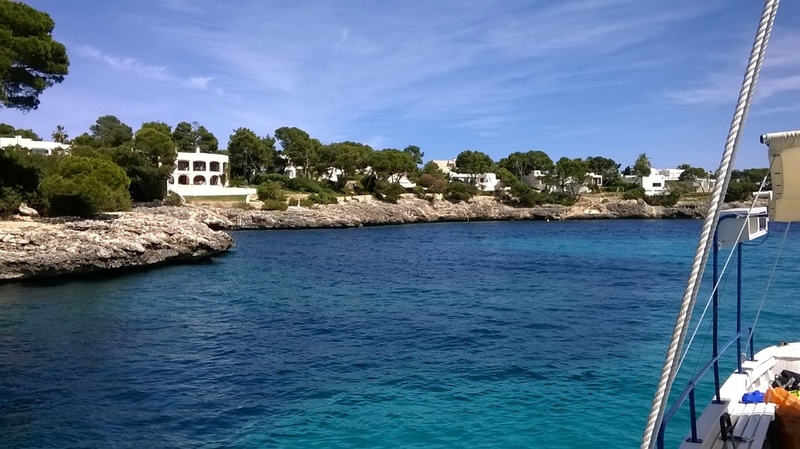 The local currency in Mallorca is the Euro (€).Please note a tourist tax will need to be paid on location and will be up to €2.20 per person per night. Spain is part of the European Union. 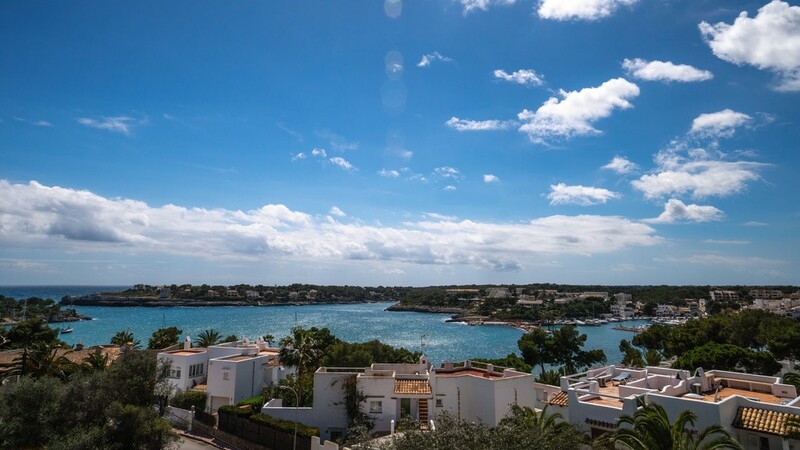 Non-residents of Spain require a full passport to enter the country, which should be valid for six months beyond the expected length of stay. Citizens of most countries, including all E.U. member states, U.S., Canada, Australia and New Zealand do not require a visa to enter Spain. Please note that visa regulations are subject to change and we advise that you check your own visa requirements prior to travel. Group ready for 10K under supervision of Sian, Cliff and Ricky. The quality and professionalism of the guides that we had was beyond my expectations. Couldn't recommend it highly enough. Fiona and Cliff were fantastic and experienced guides. They made you laugh, always looked after your safety and encouraged you to go beyond what you thought was possible! An unforgettable opportunity to challenge and develop my swimming with a very well qualified coaching team and a diverse group of swimmers who bristled with enthusiasm but remembered to also have fun! Mallorca 10km gave me the experience and confidence I needed to be successful for my laterite crossing. The guides were brilliant. They were encouraging and helped build the confidence needed for the next steps in my journey. Thank you for a great experience SwimTrek. My goal was to complete my first 10km open water swim which i achieved. A great trip with excellent support to achieve my personal goal. Great guides and location, would highly recommend this for anyone wanting to extend themselves a little and build confidence on longer swims. Great swimming with experienced guides who pass their knowledge and experience, very inspiring and encouraging. Nothing great is easy, but sharing is fantastic. 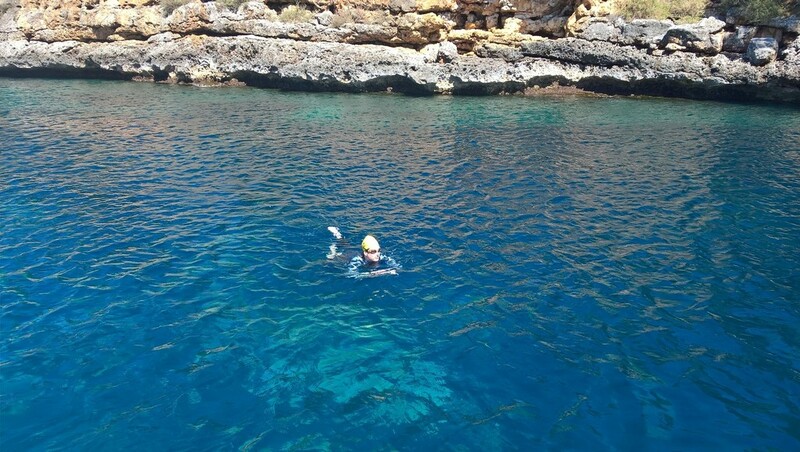 This trip really helped me to push my limits while having wonderful swims, perfect support and a great community. 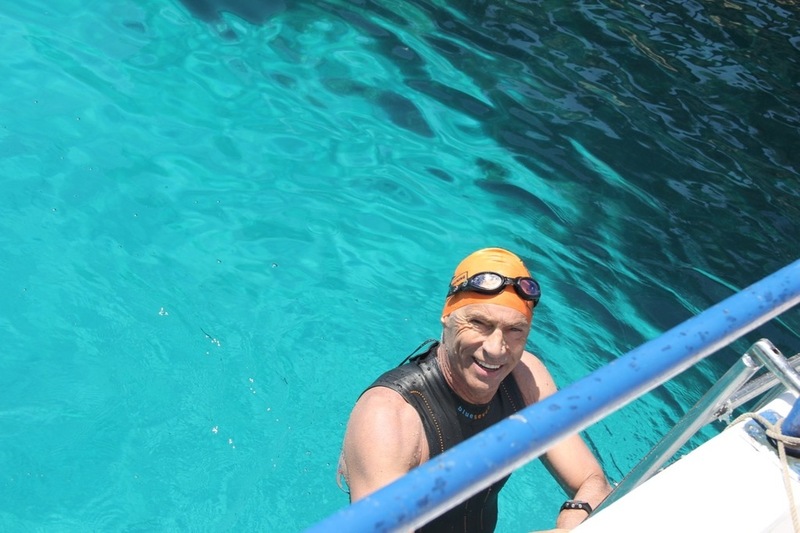 Great experience of swimming in open water, great guides, great group, I would go on again! 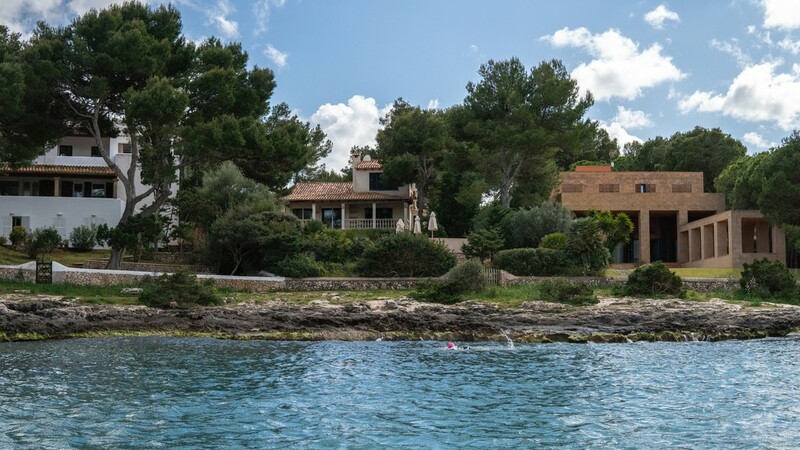 The Niu d’Aus Apartments are our base for SwimTrek's Channel and Long Distance Training Camp for 2019. Just 10 minutes walk from the marina of Porto Petro the apartments are in an elevated position with great views of the bay and hills beyond.